Tired of holding your phone to your ear for hours? Check out some of the best wireless bluetooth headsets and see top 5 budget bluetooth headsets for Android, Windows and iOS smartphones which are priced below Rs.1000. Grab one and enjoy hands-free talking. 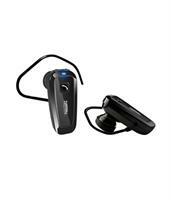 Bluetooth headsets were a breakthrough in mobile phone accessories industry. These put an end to the tangling annoying wired headsets and opened the doors to hands-free communication. But Bluetooth headsets are only used by certain people those who spend long time talking on the phone. In this article I will introduce you to 5 of them which are rated good by the users and have a price that will fit your pocket. This is one of the popular Bluetooth headset available in the market. This one from the tech giant Samsung features In-the-ear clip on design. The device boasts built in mic that claims to reduce background noise and cancels echo. The EDR technology that the device possess enables the user to transfer files faster thus making the device a must have for those who like to talk hands-free. It offers 14h of continuous talk time on full charge. Power on/off switch, automatic volume control, active pairing and high durability are the other features of Samsung BHM1100NBEGINU wireless Headset. Users have rated it to be comfortable and ear friendly. Some have found problems with the ear bud not fitting properly and no wind noise cancellation. But the overall experience is good and value for money. The device can be purchased with or without charger from any online store or from your nearest Samsung showroom. It is priced around Rs.945 without charger in India. Syska H904 features Bluetooth 3.0 connectivity. It comes in In-the-ear clip on design. It has noise reduction and A2DP Mono Audio Stream. This device also features Multi connect that enables the user to connect 2 devices simultaneously. It also features battery indicator. The device provides about 5 hours of talk time and takes about 1 hour to charge. The sound quality of the device is said to be good and the battery backup is excellent. Most of the users are satisfied with this product. The device is priced at Rs.620 in India. 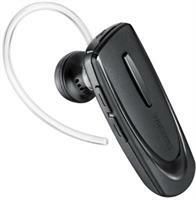 Plantronics brings you yet another comfortable Bluetooth headset and it's Plantronics ML2 Bluetooth headset. It comes with the same Clip on in-the-ear design and a built in microphone. The device gives you 6 hours of talk time and 216 hours of standby on full charge. It also comes with a feature called Multi-point connectivity which enables the user to pair 2 phones and can take calls from either one. It has a range of 10m and a single button for power on/off. It also has a answer/End call and allows voice dial. The users find it useful but some say that the device picks up too many background noises. It's good when used at offices or at home. Not that good while in a bike or train. It comes with a price tag of Rs.650 in India. 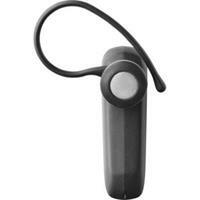 Jabra BT2046 is another affordable Bluetooth headset that is opted by users. The main features that drag the crowd is the auto pairing feature. It comes with Bluetooth version 2.1 for faster and reliable communication. It is also compatible with Bluetooth 1.1 specifications which some older smartphones may have. Up on full charge the device provides 8 hours of talk time and 10 days of standby and it takes only 2 hours for full charge. With the device you will get an internal rechargeable battery, AC adaptor, ear hook and quick start manual. It also features Multiuse which enables 2 devices to connect simultaneously. Users review the noise cancellation to be better in Jabra. The charging time is quick too. Some find the ear bud being too big to fit. It is priced at Rs.650 in Indian markets. Zebroinics gives you its BH498 Bluetooth headset that features 2.4GHz radio frequency and has a DC output of 5V. The device features a transmit distance limit of 10m. It gives you 2.5 hours of talk time and 85 hours of standby which is comparatively low. Some users says that the ear hook performs poorly and at some points even the device lacks the expected performance. It is better when used with laptops. At this price range it is good but not the best. If you are looking for a low budget Bluetooth headset with fair performance, this device is to be considered. It is priced at Rs.430 in India. Finally, which one is your choice? 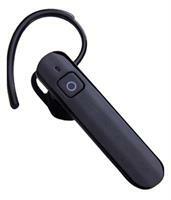 We have seen top 5 cheap Bluetooth headsets available in market which are top selling and high rated. All the above mentioned are better in one way or the other and all are priced below Rs.1000. But the choice is yours. Go through them and find which one satisfies your ears, pockets and style.